Jen Hirt’s memoir, Under Glass: The Girl with a Thousand Christmas Trees (University of Akron Press/Ringtaw Books, 2010), won the Drake University Emerging Writer Award for 2011. Her essay “Lores of Last Unicorns,” published in The Gettysburg Review, won a 2010 Pushcart Prize. 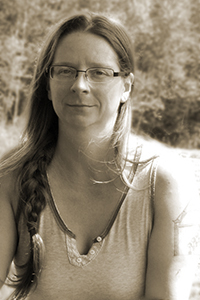 Her essays have also received the 2012 Gabehart Prize for nonfiction from the Kentucky Women Writers Conference, the 2003 Ohioana Walter Rumsey Marvin Grant, and a 2009 Pennsylvania Council on the Arts grant. Her work has appeared or is forthcoming in Redivider, The Sonora Review, Confrontation, TriQuarterly, Colorado Review, and Quiddity. She is an assistant professor of creative writing at Penn State Harrisburg.